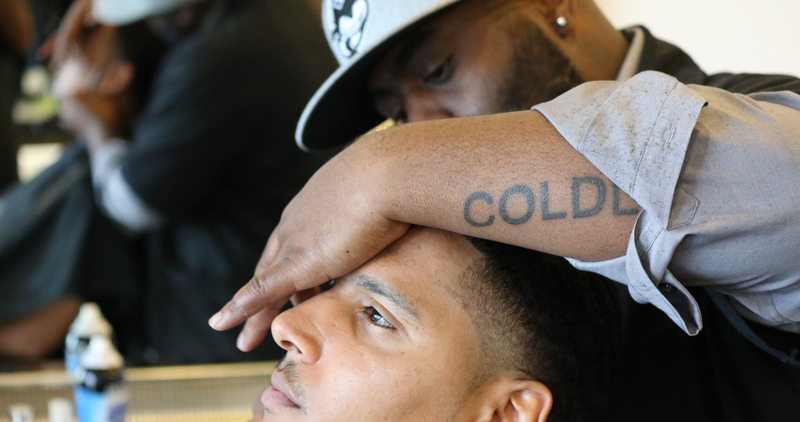 Cold Cutz Barber Shop has been in Downtown Riverside since March 2001. The shop was originally located on University Avenue, but is now located at 4029 Market Street in the Justice Center, where it has been since 2006. Since its opening, Cold Cutz has been, and continues to be well-received. This can be attributed to our philosophy that your business is only as good as your relationship with the community. We value this relationship. Historically, the barbershop has served as a meeting place, as well as a grooming place. A true barbershop is an open forum for all people to debate, share and build. This collective dynamic, centered on male-centric issues and grooming, is the true essence of the barbershop subculture. We are honored to provide barbering services to our very diverse clientele in the Inland Empire; however, our base consists of people who come from as far as Hollywood and Palm Springs.